CL Solutions provides products for control and removal of environmental spills of oil, fuel and industrial chemicals. CL Solutions’ microbial cultures are safe for human health and the environment. When used under appropriate conditions, as guided by our field test kits, our microbial blends remove oil from surface spills, soil, surface water and ground water fast, safely and more economically than alternative technologies. In addition to standard blends for petroleum and solvent remediation, CL Solutions has patented blends for perchlorate, and 1,4-dioxane bioremediation. 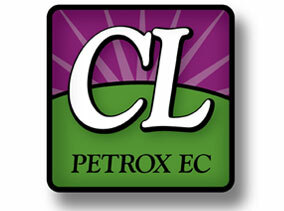 Petrox and CL-Out accelerate redevelopment of environmentally-impaired property through fast, reliable and cost-effective in-situ or ex-situ bioremediation. CL Solutions’ products provide green technologies for industrial maintenance, wastewater treatment, oil-water separator improvement, and chemical and fuel spill remediation. CL-Out has been used to remediate spills and restore value to hundreds of dry cleaners for more than 20 years. This fast and reliable approach removes the contamination and environmental stigma. Petrox bioremediation safely removes petroleum and oil contamination from soil and ground water around USTs and buried piping without interrupting business operations. Petrox microbes metabolize and remove the full range of refined and unrefined petroleum products at pipeline leaks and operating refineries without excavation or business interruption. Petrox removes petroleum from exploration waste material including drill cuttings, lagoon sludges, and produced water. Petrox DN removes excess nitrate from soil, runoff and ground water. Petrox removes a wide range of pesticides from soil, runoff and ground water. CL Solutions’ products have been used at military bases to address soil and ground water contamination from fuel, solvent and explosives, including TNT, DNT and perchlorate. Munox SR is US EPA approved and an NCP-listed product for the bioremediation of marine oil spills.